Atlanta Dermatopathology has 18 full-time employees, most of whom have been with the company for more than 20 years. 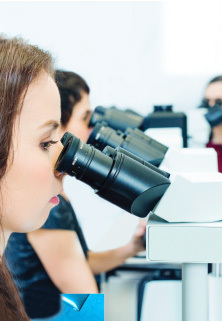 Our full-time histotechnologists are certified by the American Society of Clinical Pathology. Atlanta Dermatopathology’s experienced and courteous billing and secretarial staff are always available to help with any billing or pathology report questions you or your patients may have. We do not have impersonal, automated phone menus or outsourced support. When you or your patients call, you will speak directly to one of our staff members. You will get to know them and they will get to know you as well.